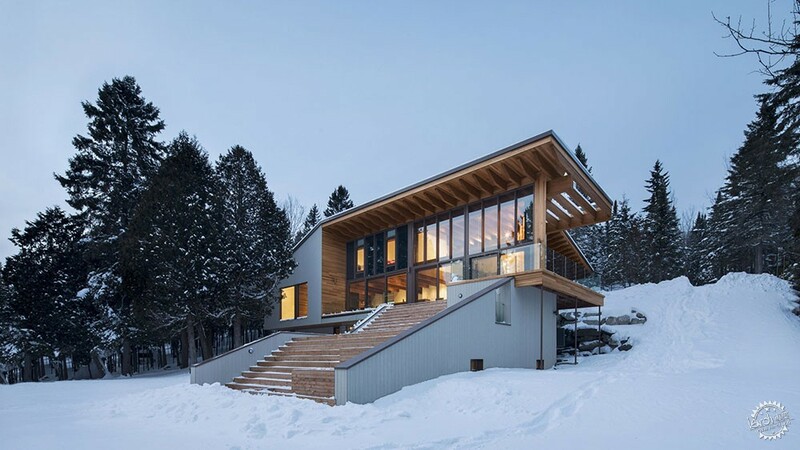 Broad wooden steps lead from the living space of this Quebec residence, by local architects Bourgeois Lechasseur, down to the shores of Lac St-François. 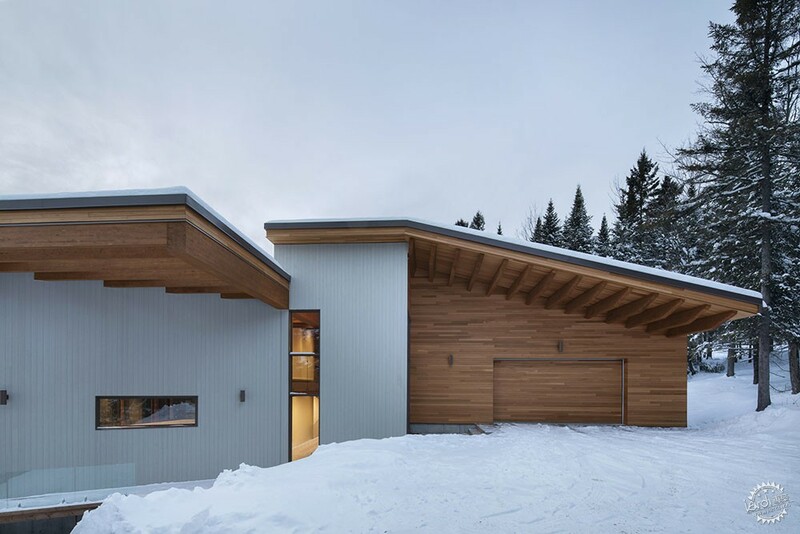 The L'Accostée home was built above the foundations of an existing chalet that the owners had been using for a long time, but had outgrown. 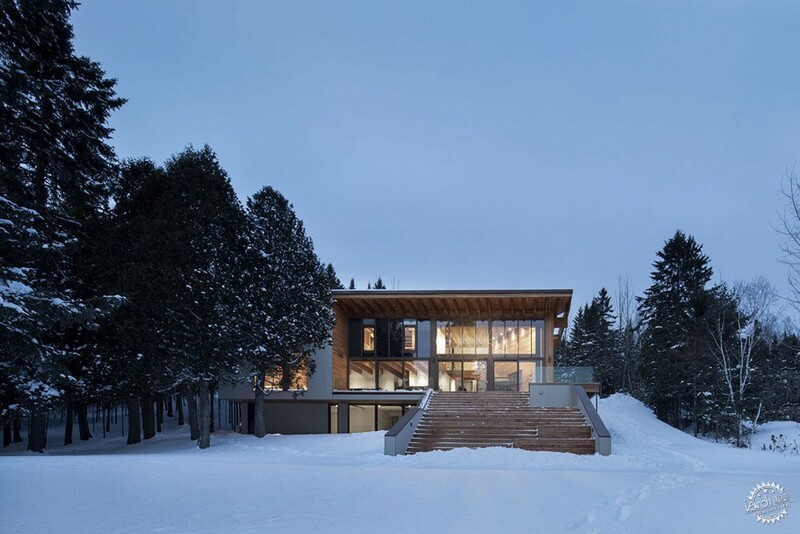 "They decided to rebuild while preserving the natural surroundings and keeping the open space on the edge of the lake," said Bourgeois/Lechasseur architectes. The site slopes down towards the lake, and the entrance is on the middle level of the five-bedroom home, which contains the main living and entertaining areas. 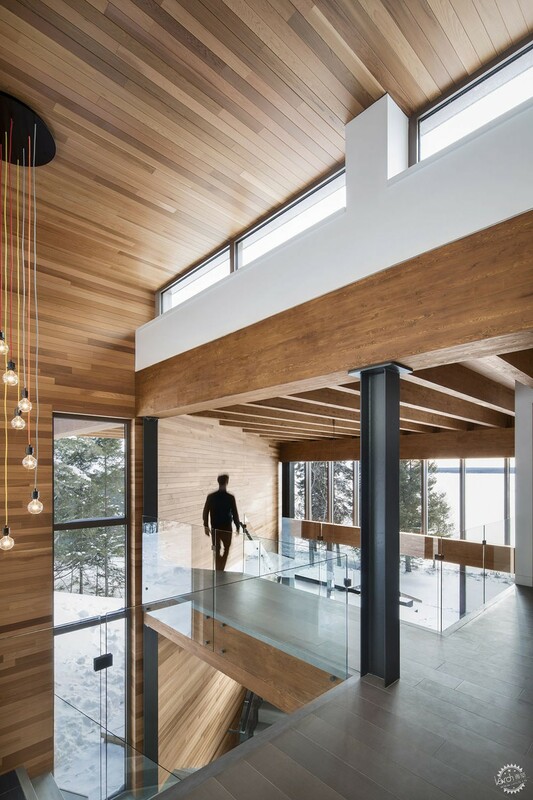 After traversing an entry foyer, floor-to-ceiling glass walls in the open-concept kitchen, living and dining room provide sweeping landscape views. 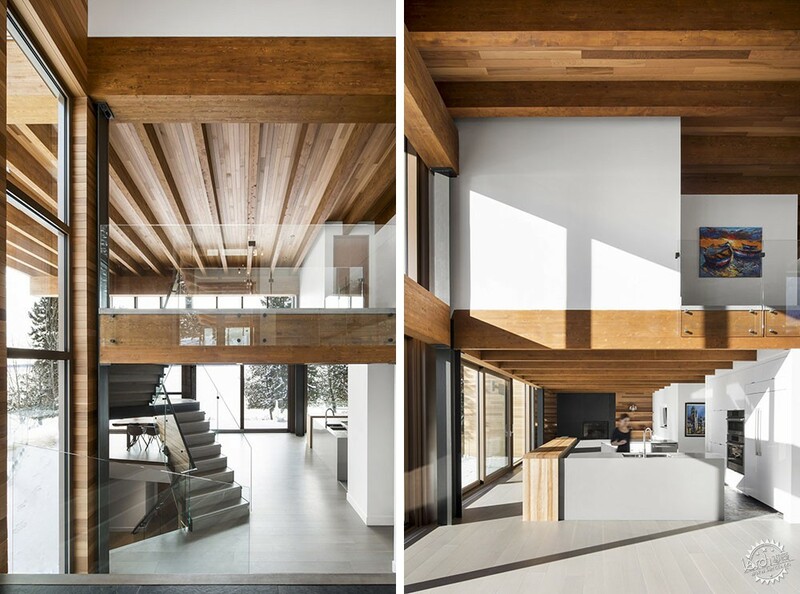 Wooden rafters of the structure are left exposed, creating a dramatic effect in the double-height spaces. 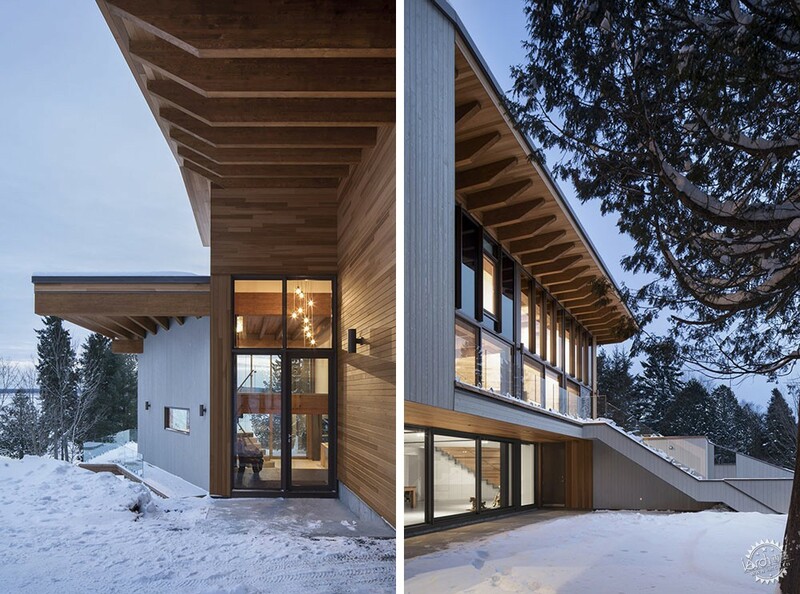 "This contemporary house is distinguished by the expression of the wooden structure," the architects said. 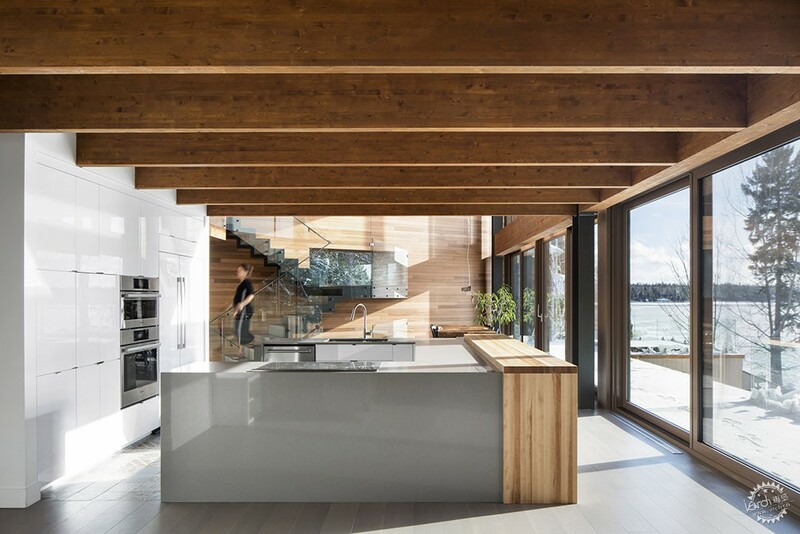 In the centre of the plan, Bourgeois/Lechasseur laid out a U-shaped kitchen, which allows the owners to interact with each other and their guests while cooking. 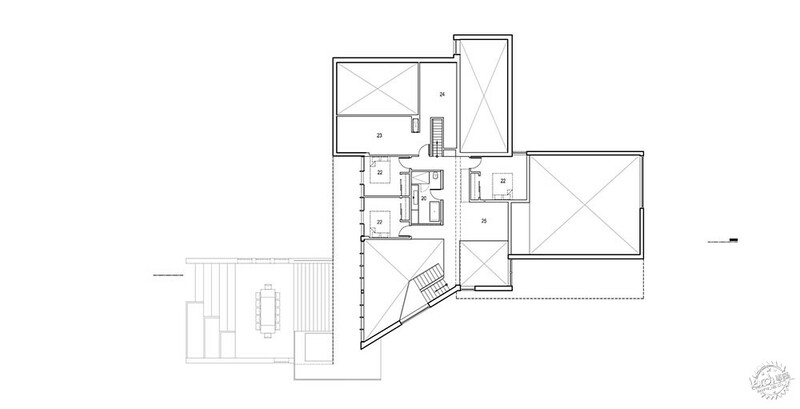 The master bedroom is also on the same level, occupying the eastern portion of the home. An expansive terrace occupies the entire southern facade, facing the lake, and is accessible from the living and dining area. From here, a broad set of steps allow the residents to wander down to the water. 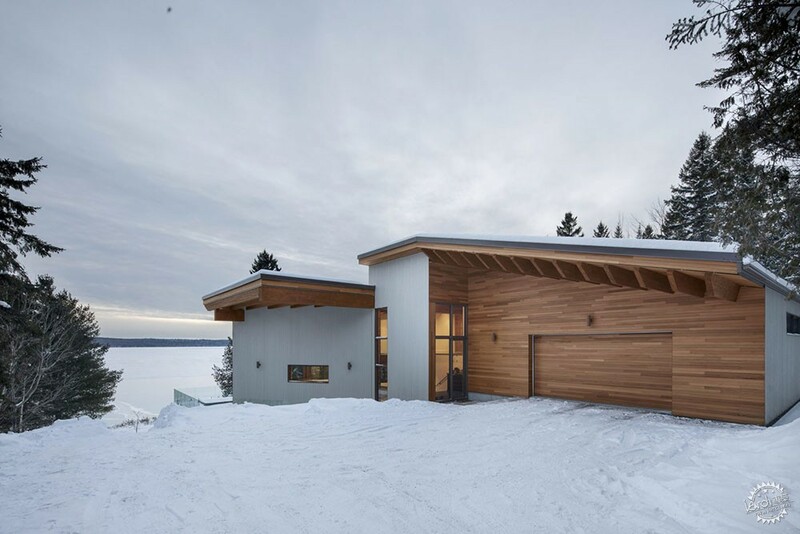 "This architectural gesture takes the form of an agora and becomes the cornerstone for the new house," Bourgeois/Lechasseur said. The steps include some wider landings where residents can hang out and enjoy the waterfront views. 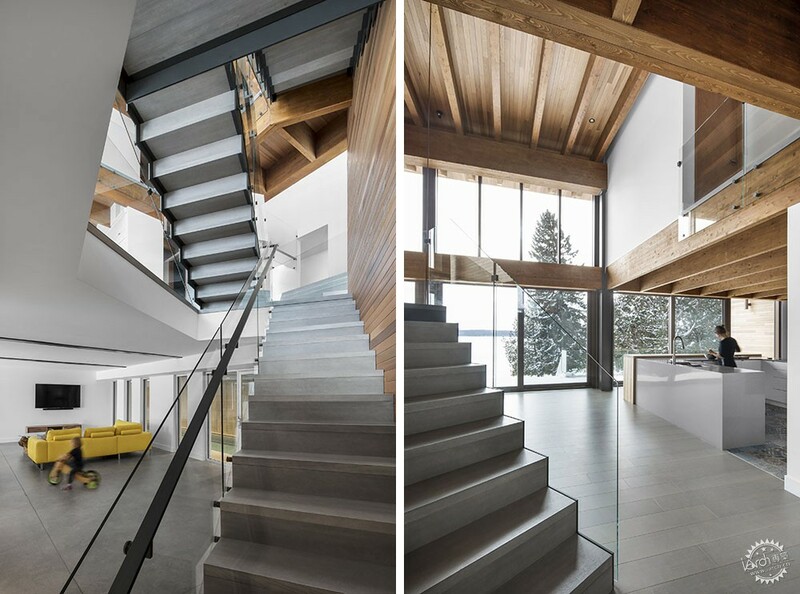 A flight of metal and glass stairs leads upstairs to the three children's bedrooms, and down to a den, a home gym, and a guest bedroom at on the lowest level. 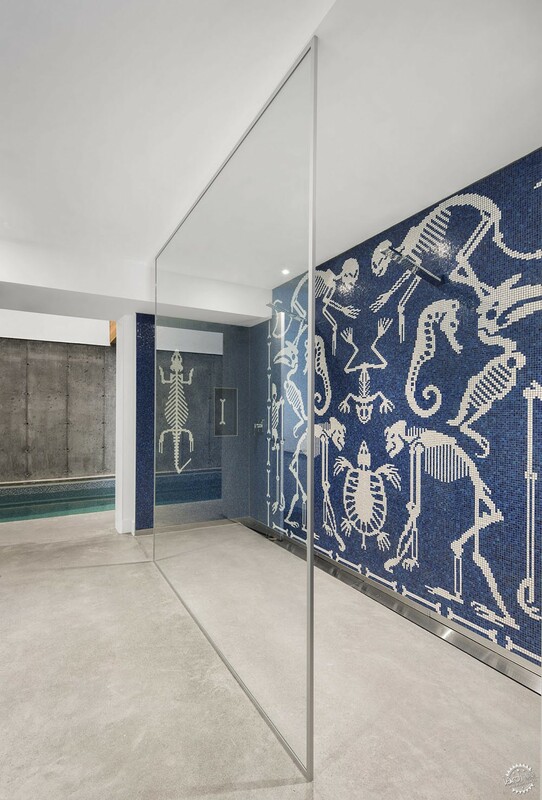 There is also an indoor pool in the basement, which also has a visual relationship with the exterior. "Natural light sweeps over the wall at the end of the long pool, beckoning swimmers," said the architects. 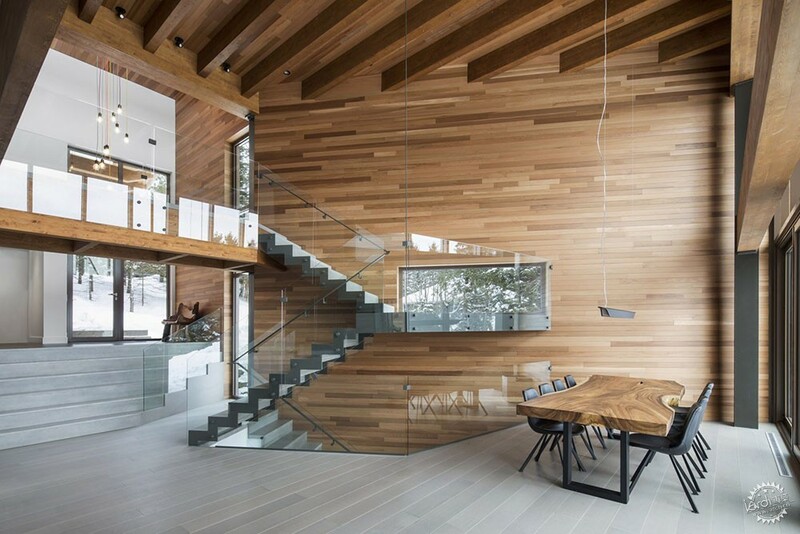 Wood is the main material throughout for the home's interiors, complemented by accents of steel and glass used for the structure. 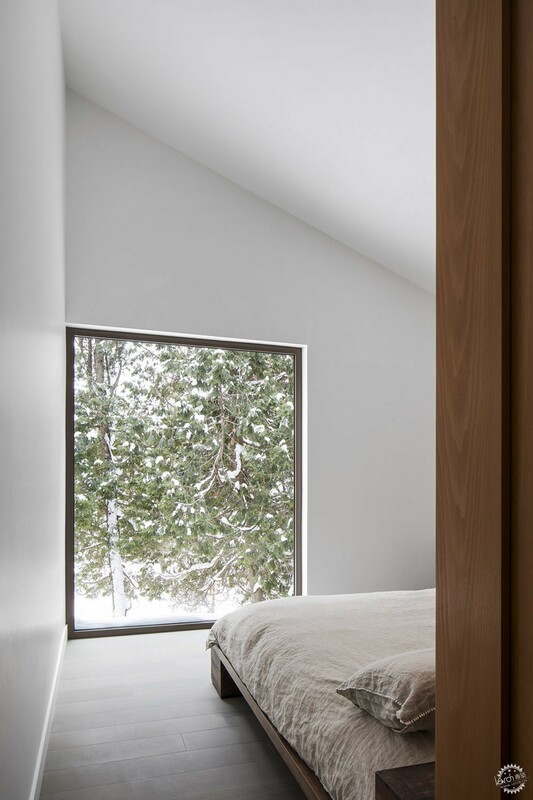 Outside, the architects chose a more subdued approach, with simple white cladding for most of the walls but with some of the wooden accents left visible. 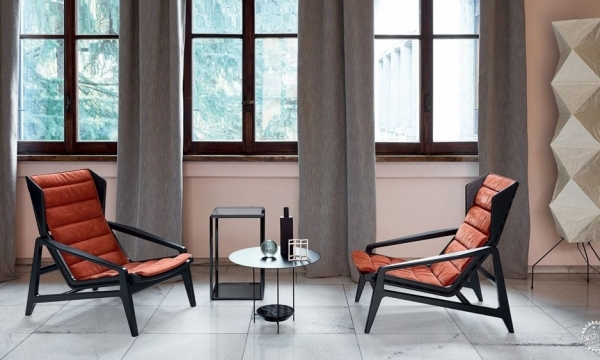 Bourgeois/Lechasseur was founded in 2011, and has offices in Quebec City and an outpost in the Magdalen Islands. 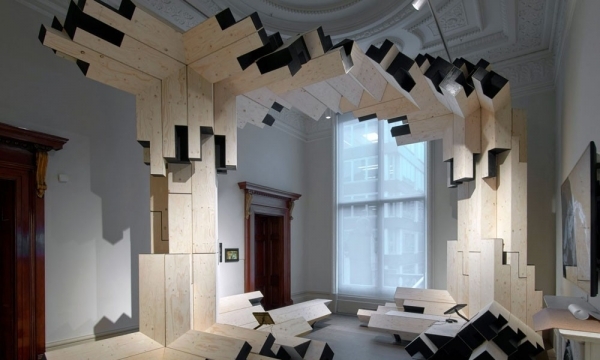 The studio has also completed a geometric home designed to withstand its site's harsh winds and a memorial to seamen that was built on the defunct site of a fish processing plant.